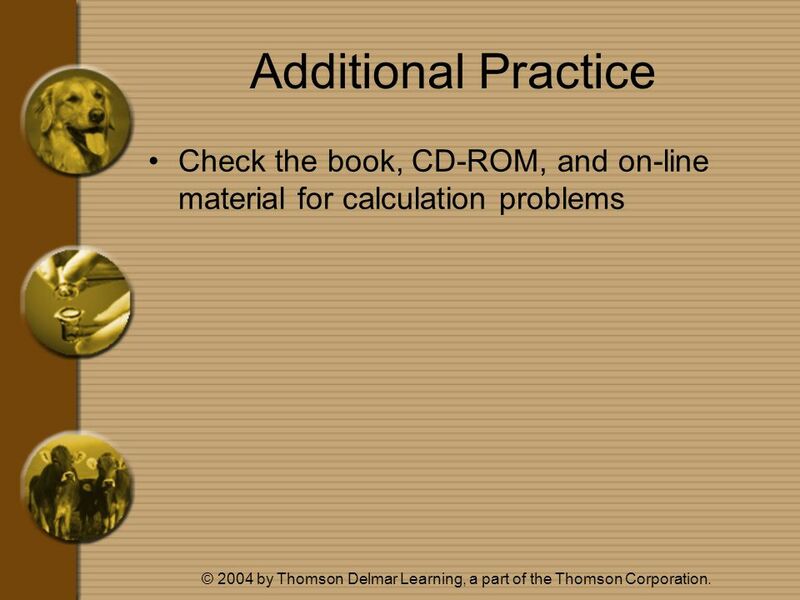 © 2004 by Thomson Delmar Learning, a part of the Thomson Corporation. 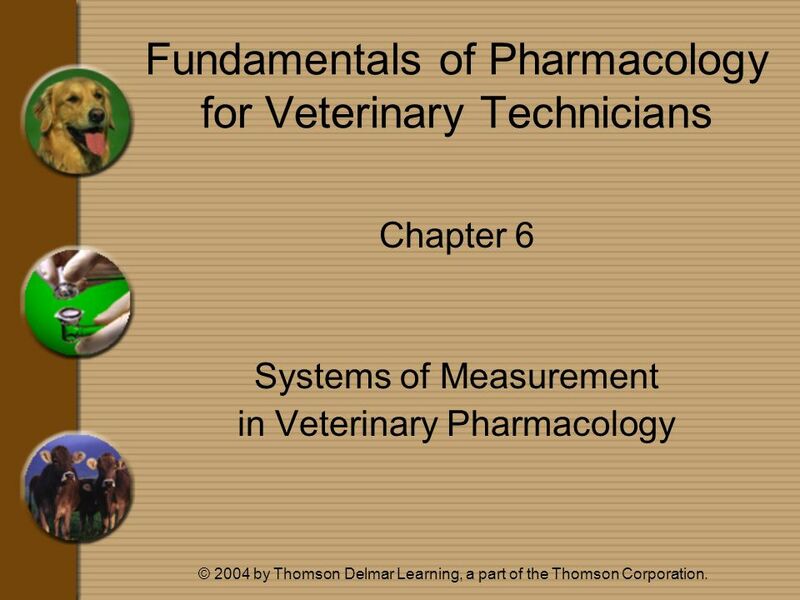 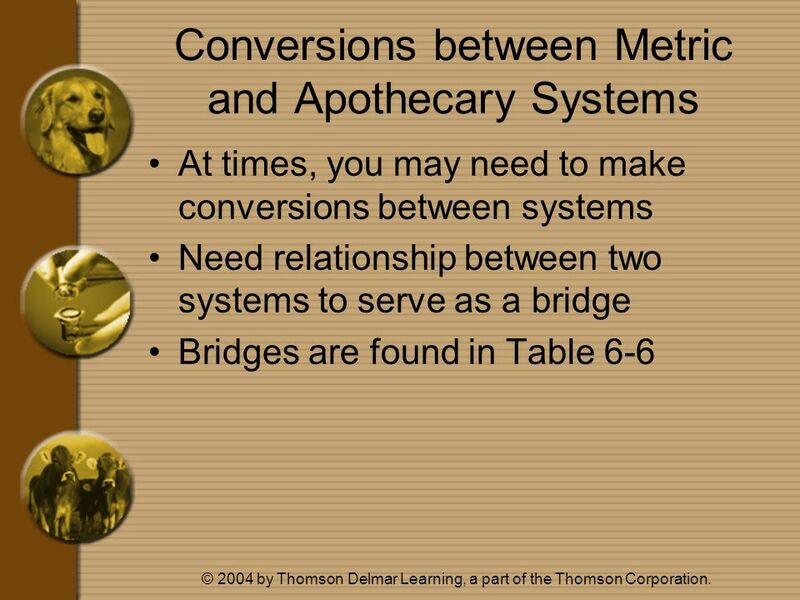 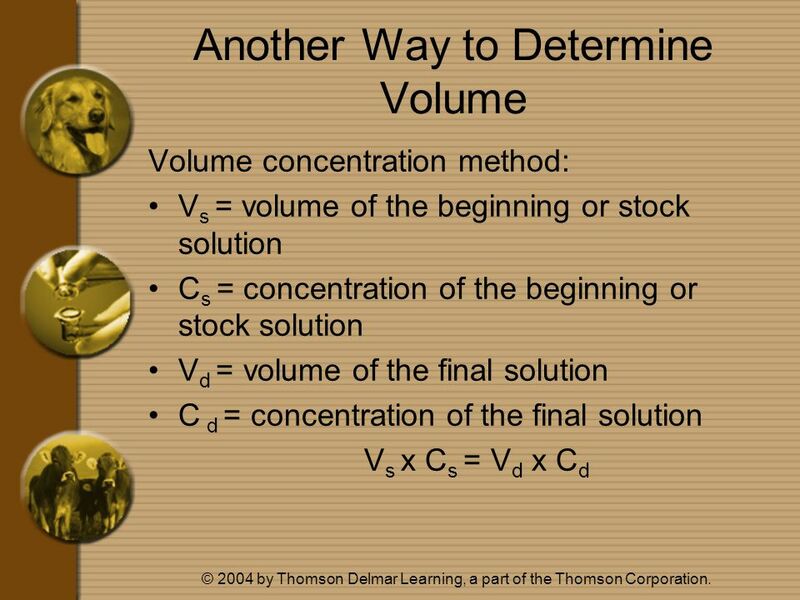 Fundamentals of Pharmacology for Veterinary Technicians Chapter 6 Systems of Measurement. 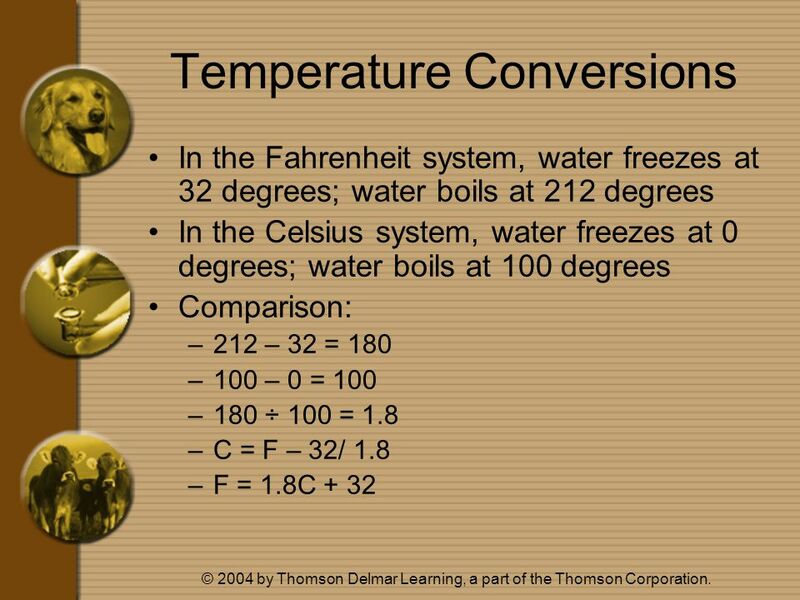 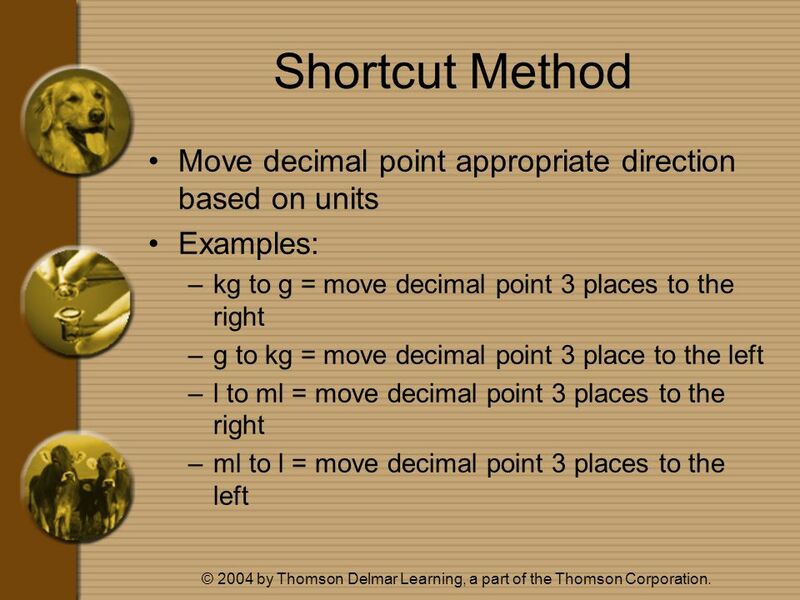 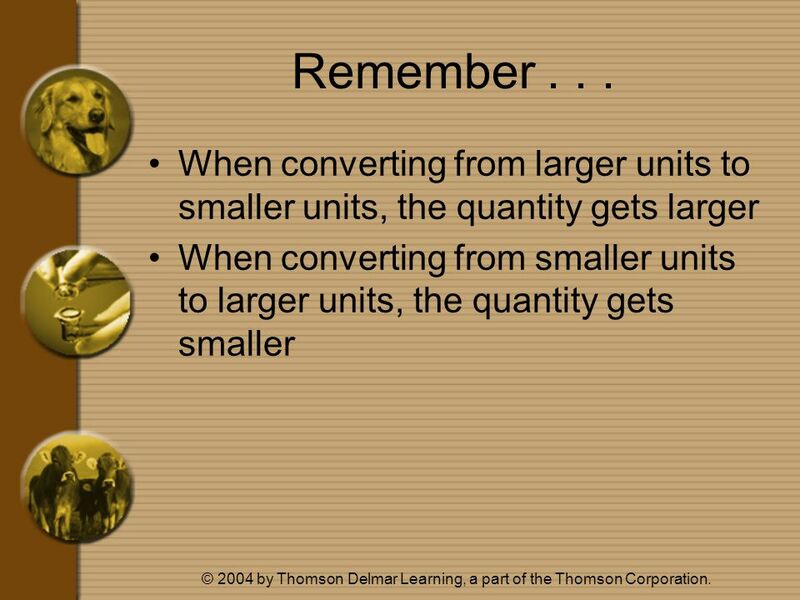 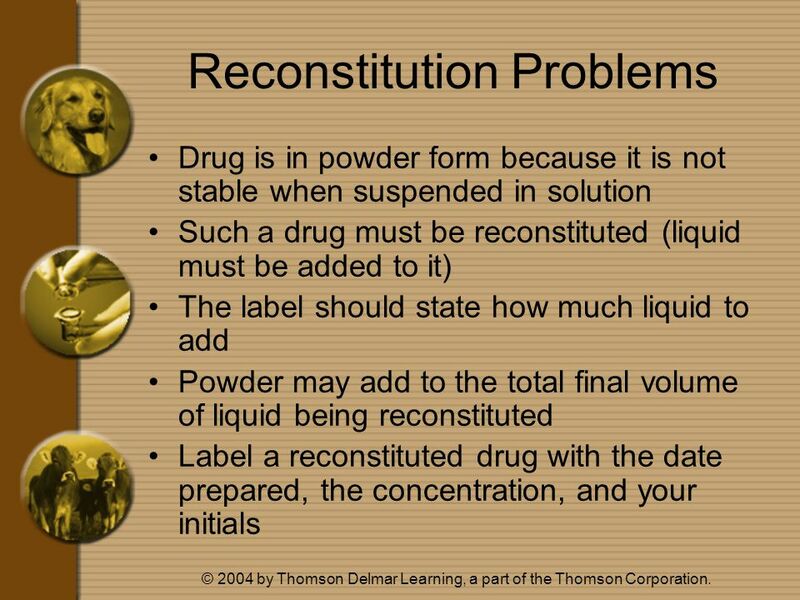 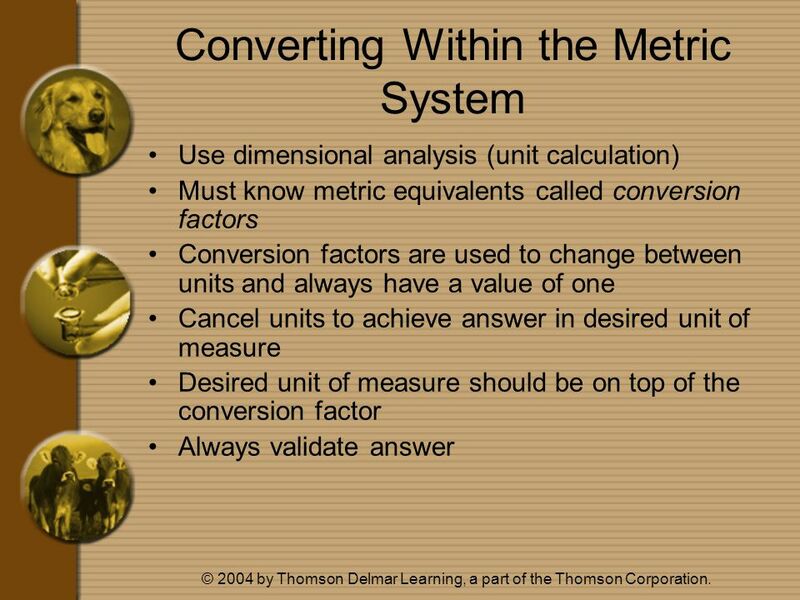 Download ppt "© 2004 by Thomson Delmar Learning, a part of the Thomson Corporation. 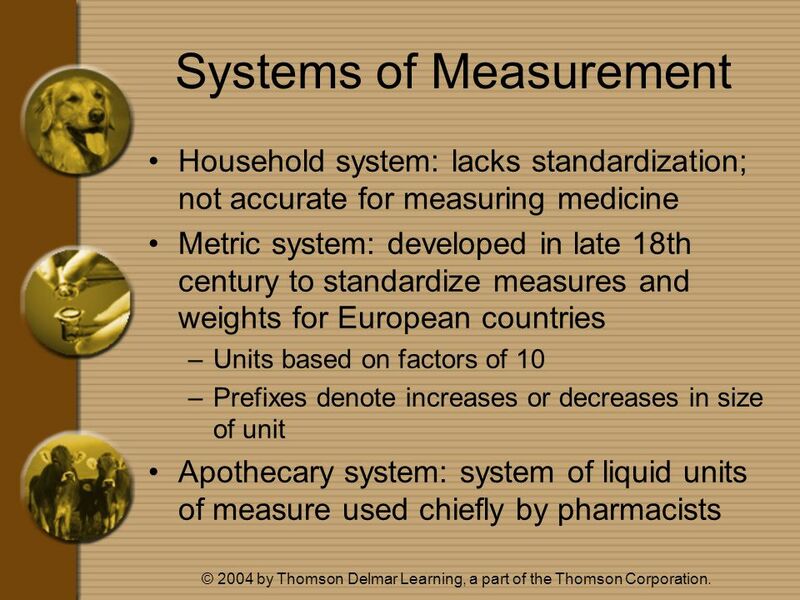 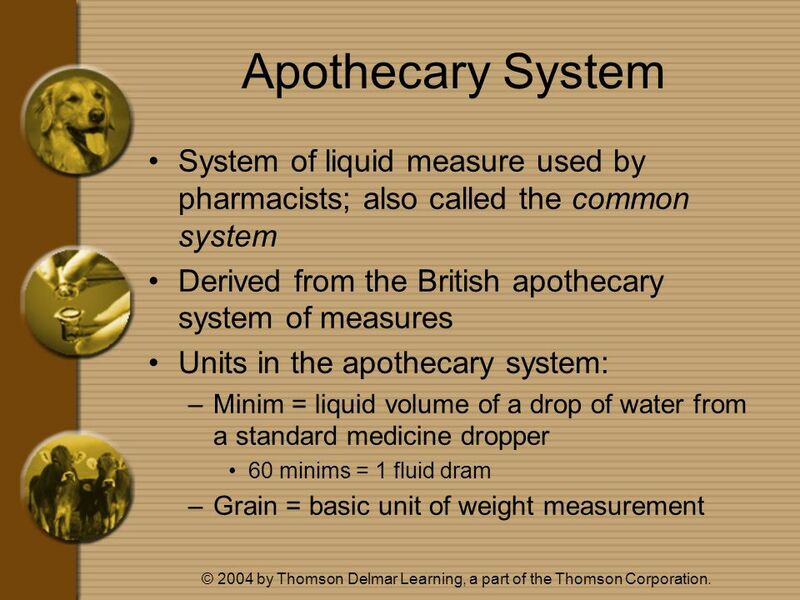 Fundamentals of Pharmacology for Veterinary Technicians Chapter 6 Systems of Measurement." 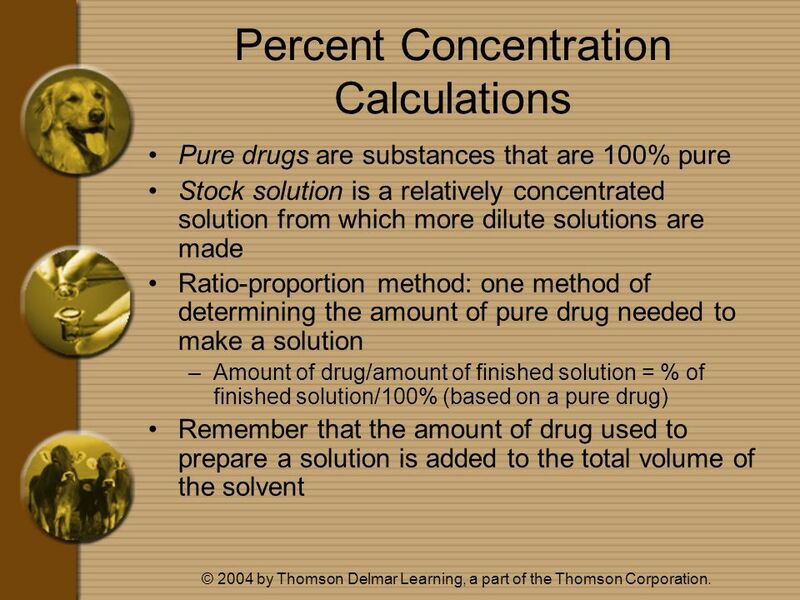 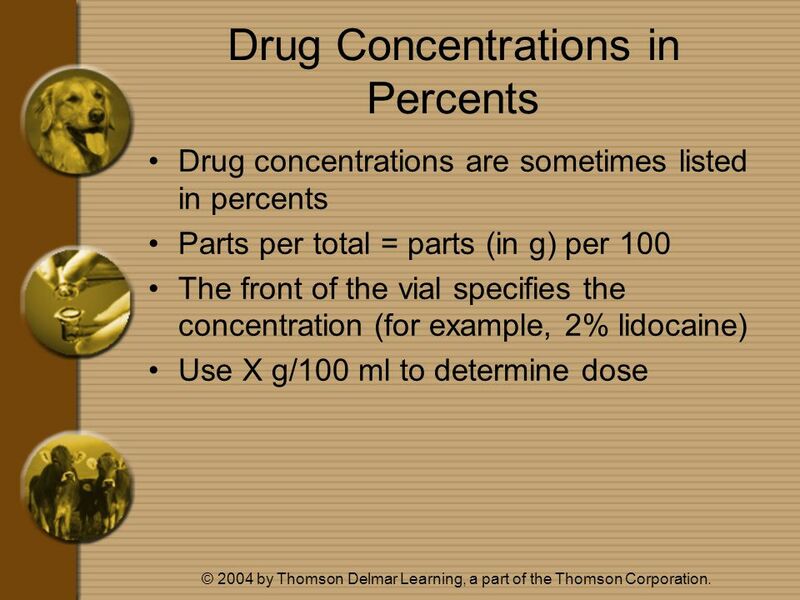 Chapter 3 Pharmacology Math Elsevier items and derived items © 2006 by Saunders, an imprint of Elsevier Inc.
1 Ratios and Proportions A ratio is a comparison of like quantities. 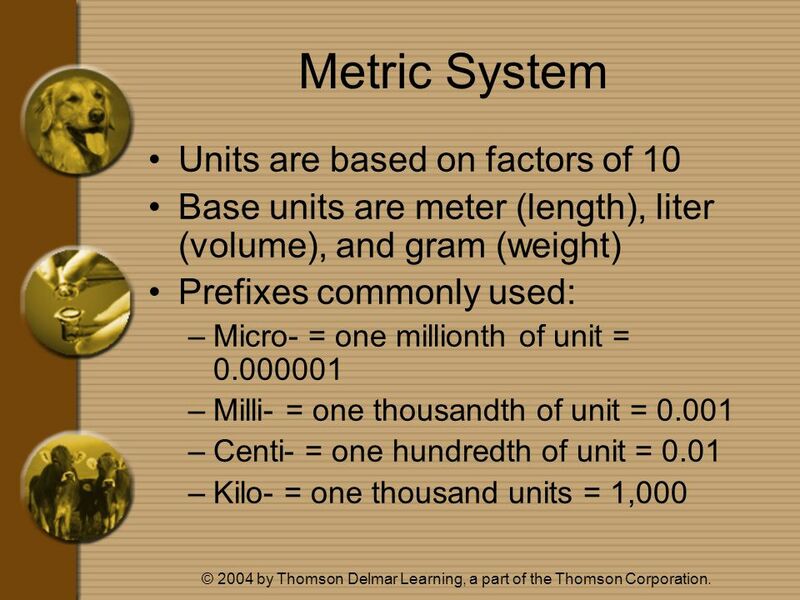 A ratio can be expressed as a fraction or in ratio notation (using a colon). 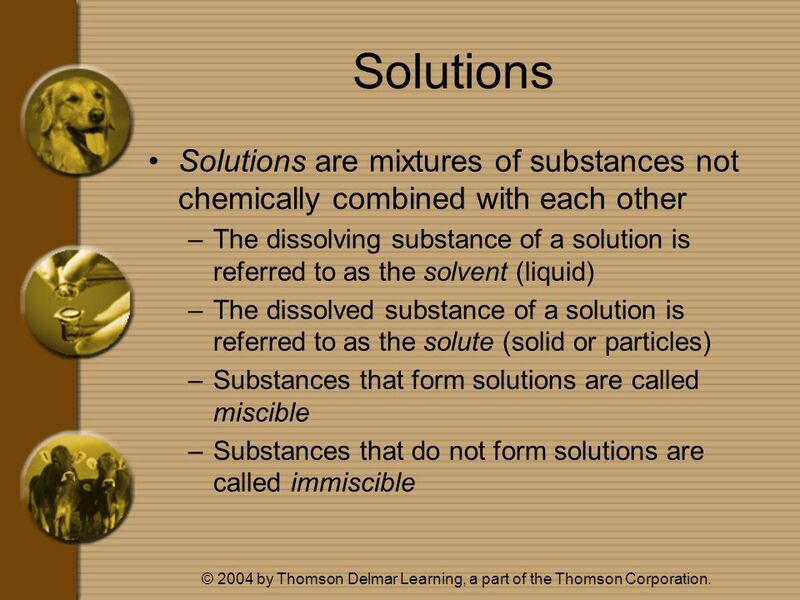 One common. 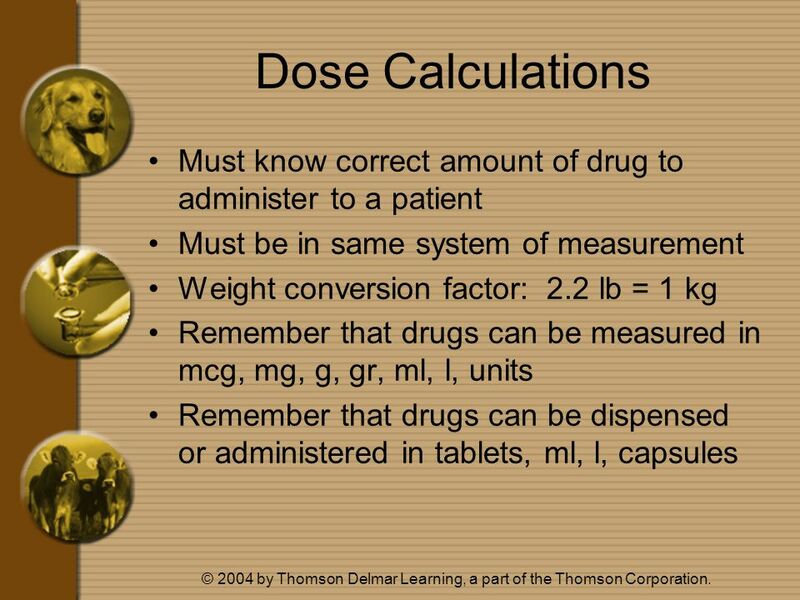 1 Drug Calculation 9/8/2015Miss Iman Shaweesh. 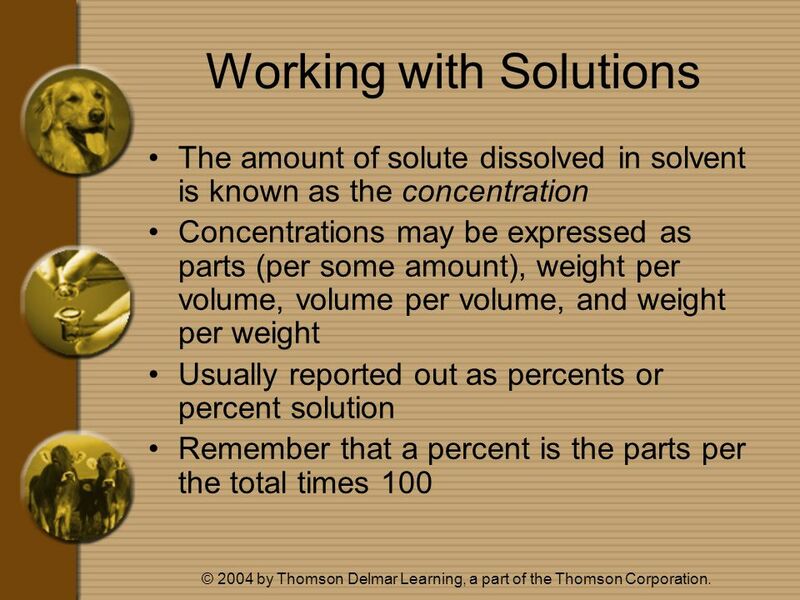 2 Fractions A fraction is part of a whole number. 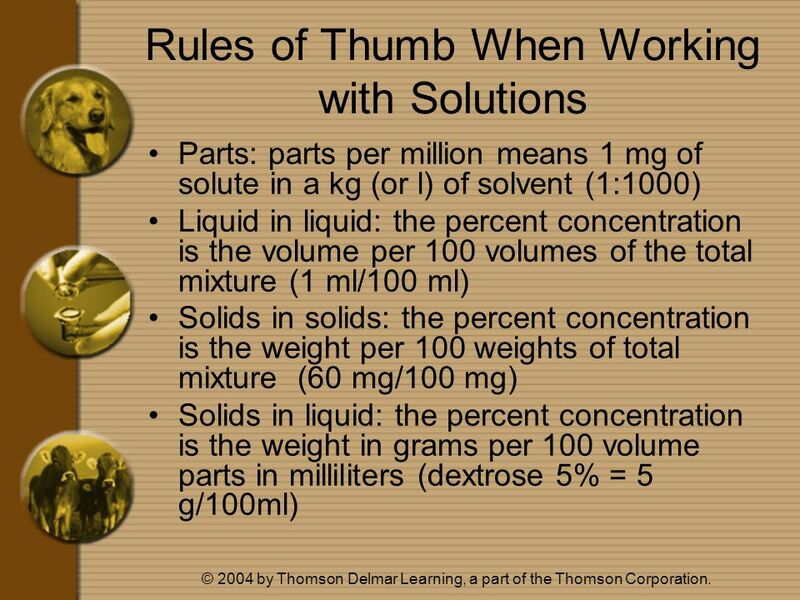 The fraction 6 means that there are 8 parts to the whole.